The weather this spring has been horrible! and this past week has been no exception. Despite bad weather, the fishing has been a pleasant surprise. The number of Brook Trout over a foot long has been remarkable this past week and we have seen good numbers of very respectable Browns up to about 17″. If this is a precursor of things to come, it’s going to be a great season on the Upper Brule. The Hendrickson hatch has yet to get going, a bug here and there, but no real hatch. As soon as this weather straightens out, it’s going to bust loose! A couple of things worth noting: After spending the past week on the water, in rain, wind and cold, The SIMMS Pac-Lite rain pants really exceeded my expectations for a light weight rain pant. Dry as a bone every day! The other new product that I’m thrilled with is the Rio Camo-lux full intermediate line. this line has preformed fantastically in still water applications. I wont fish Spring Ponds again without it! We have a number of openings over the next couple of weeks, so if you can get away to take advantage of this great early season fishing, give us a shout! 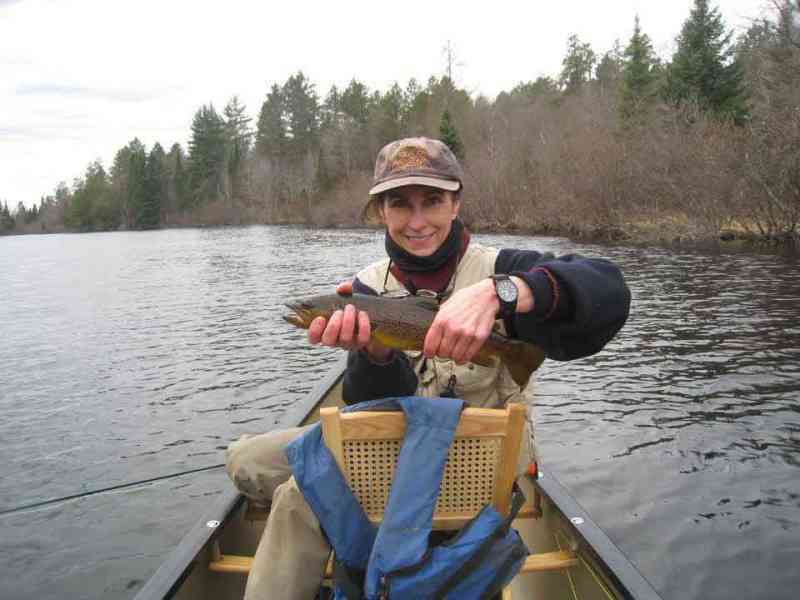 This entry was posted in Fishing Reports, Uncategorized and tagged brook trout, brown trout, brule river fishing report, spring ponds by Damian Wilmot. Bookmark the permalink.